Kelley McMorris illustration: Ranger in Time: Race to the South Pole! Ranger in Time: Race to the South Pole! 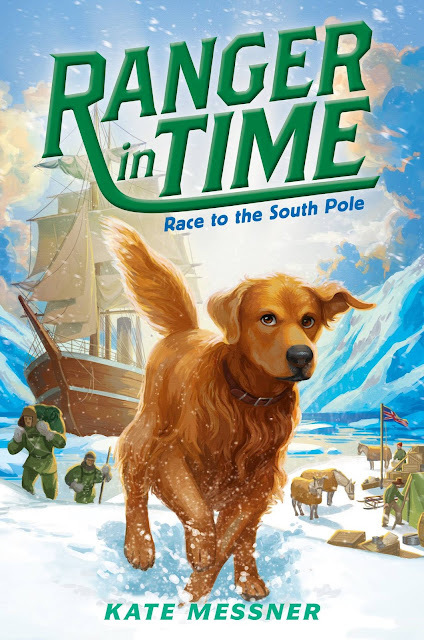 I'm excited to share another cover for the Ranger in Time series, written by Kate Messner and published by Scholastic. 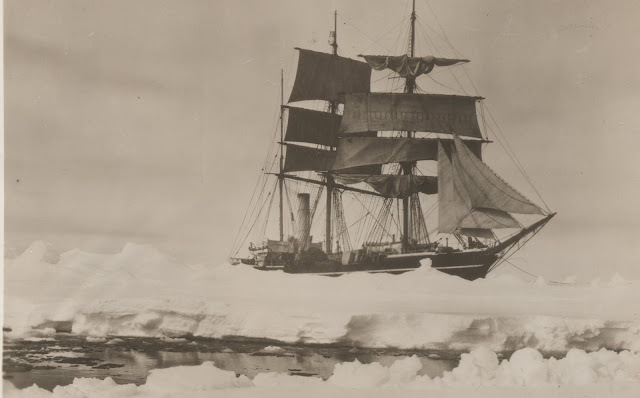 Book #4 is called Race to the South Pole, and it's about the Scott expedition, which took place during 1910-1913. 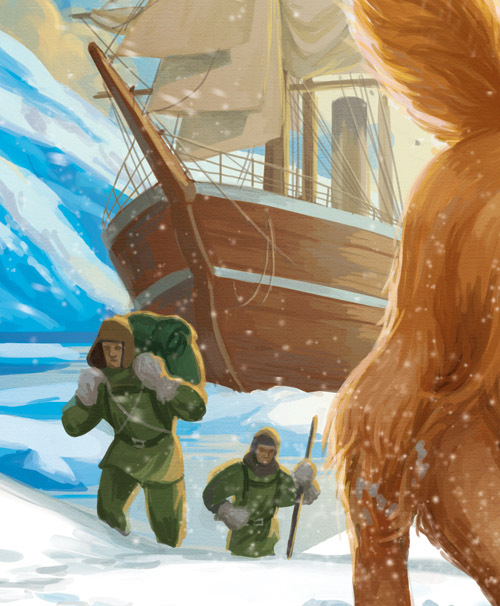 Ranger joins a young stowaway on the ship, and together they face snowstorms, killer whales and ice crevasses. 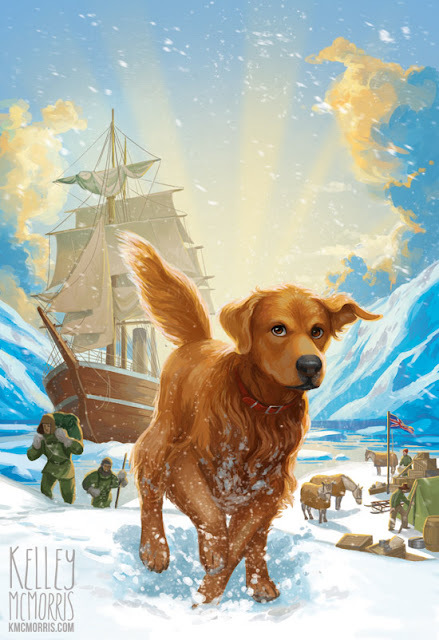 The art director, Ellen Duda, asked for "Ranger, on land, against an icy landscape with Captain Scott’s boat, the Terra Nova, in the background. 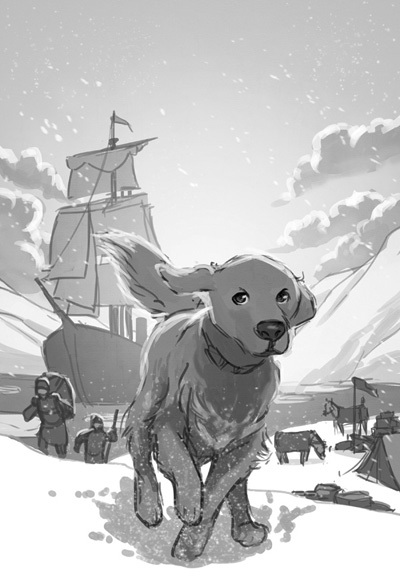 Instead of dogs, Scott brought ponies with him, so one or more of them could be in the background, too. 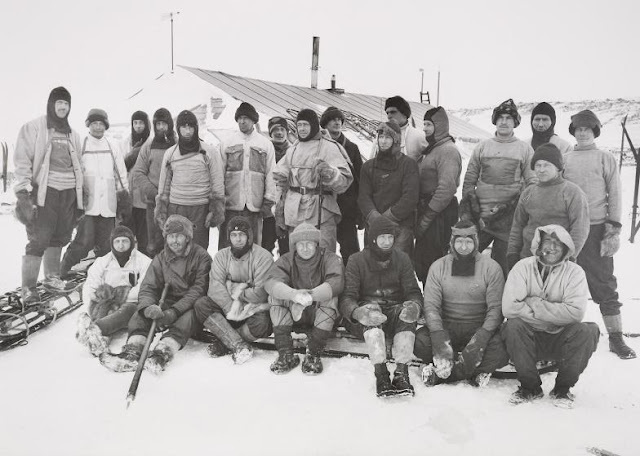 There were also issues with killer whales prowling around the ice if you want to show a fin or two in the water." 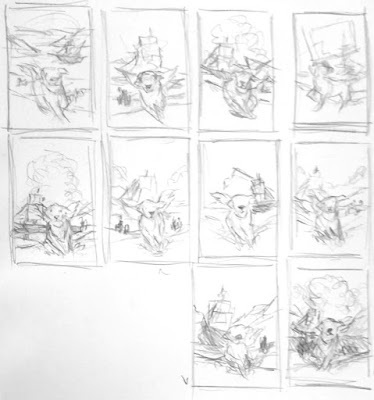 The team at Scholastic liked the second rough the best, but said that Ranger's pose was too similar to the first cover. So, they asked me to revise the pose. The rough was approved. Next step was to create a color rough. Here I met a bit of a challenge. Scholastic likes their Ranger covers to be super colorful. But if I had a white and blue snowscape, and a white and blue sky, that would not be enough color. So, I suggested to the art director that we could have a sunset in the sky. She responded that since the sun only sets/rises once a year in the South Pole, showing a sunset would not be very accurate. So I decided to exercise a little artistic license by adding an unexplained golden light behind Ranger. It's not exactly a sunset or sunrise, but it's enough to introduce some warmth into the color scheme. The color rough got the thumbs up! Time to go to final! Ranger in Time: Race to the South Pole comes out on June 28. It is a fantastic book covering an unusual bit of history. For a while, Amazon was claiming that it was the #1 seller in the "Antarctic Travel Guides" category - which...I surely hope is a mistake. 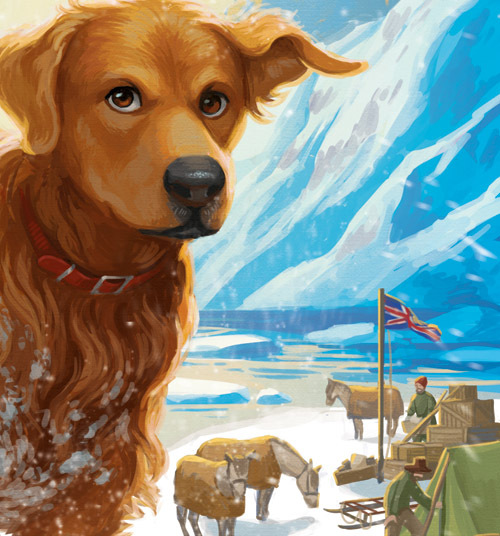 Please do not use this book as an Antarctic travel guide. 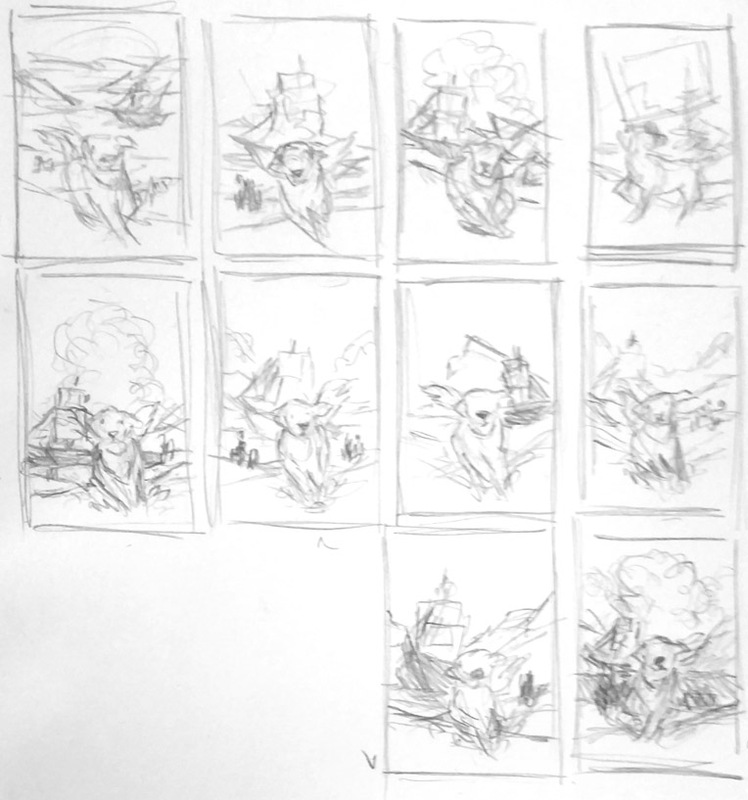 In my next blog post I will talk about the process behind the interior illustrations for the book. What happened to the yellow sky in the final cover?